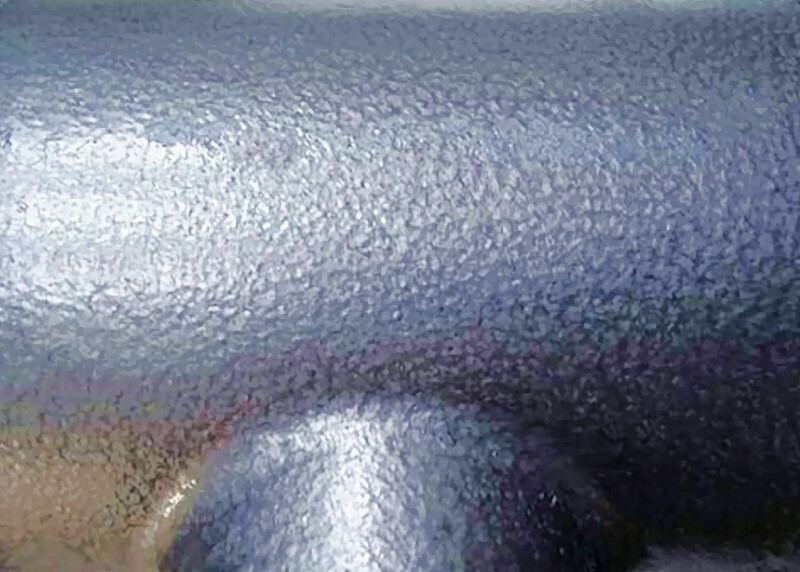 Paint with a special varnish which, during drying, gives the optical impression of many hammer blows and creates a structured surface (Figure 1). The slightly iridescent areas are caused by the different orientation of very small mica particles which are suspended in the hammer paint. Mica is chemically inactive and very resistant. Hammer paint is used mainly as a way of improving the appearance of castings and less as protective coating. The optical advantage of hammer paint is that the painted surface still looks good even if the surface of the casting itself is not flat and regular. To achieve the same optical effect with a smooth paint, the surface of the casting would usually have to be prepared first. This step is unnecessary with hammer paint. In addition, the durability of the coating is increased due to the mica. The mica protects the binding material underneath from UV rays and prevents quick aging. Hammer paints can often be made relatively hard and scratch resistant by adding various additives.